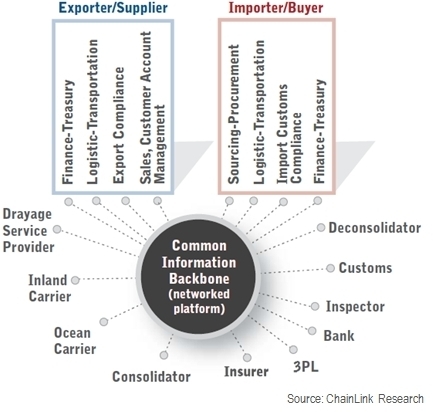 With global trade and extended multi-tier supply chains, it is imperative that the physical, financial, and information supply chains becoming more well-integrated. Now that supply chains are global, lead times elongated, and supply chain costs up, these functions can no longer exist independently. 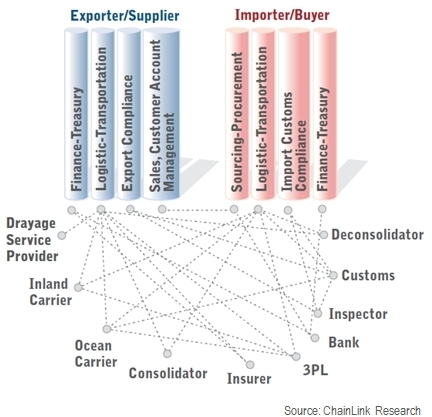 Financial-Supply Chain convergence requires that supply chain personnel and financial personnel start working more closely. Supply chain and finance functions impact each other profoundly, and have to learn to speak each other’s language. Progressive CFOs should care deeply about supply chain strategy, practices, and execution—such as build-to-order, Just-in-Time, lean initiatives, inventory velocity, and negotiations with suppliers (terms)—because these all have a tremendous impact on cash-to-cash cycle time and working capital. And it’s not just the CFO, but the trade finance banker as well, as banks are getting deeper into supply chain related services and innovative financing arrangements. A case in point, J.P. Morgan Treasury Services recently announced they are hiring 100 supply chain professionals to expand their Global Trade practice. Without this level of integration, processes are sub-optimized, capital is more expensive, and supply chains are slower. Companies managed to get by this way in the old domestic/vertical scenario, but not in the new globalized world. Often people think of supply chain finance as leveraging the supplier’s receivables to provide financing. Receivables financing does have a role to play. Each player in the supply chain, from the retailer all the way back to the raw materials supplier, would like to shorten their cash-to-cash cycle time. Some companies, like Dell, have a negative cash-to-cash cycle time, collecting payment from their customers long before they have to pay their suppliers. However, without some type of third party financing, it’s a zero-sum game. Longer payment terms are a win for the buyer, but a loss for the supplier; and the most powerful player usually wins at the expense of others.1 This is where receivables financing can make a difference. Different forms of receivables financing, such as invoice factoring, have been around for a very long time. More recently, we’ve seen internet-based trading of receivables and other innovations from companies like The Receivables Exchange, Orbian, TradeCard, and others. Beyond receivables financing, there are many other points earlier in the P.O.-to-settlement cycle where suppliers can benefit from financing. Besides loans to the supplier, financing companies may also choose to outright buy the inventory (at a discount) for a period of time, such as while the inventory is in-transit or from the time it arrives at a VMI hub until it is pulled. In these cases, the financer usually requires some time-bounded firm guarantee of consumption and payment by the buyer. Authenticated (digitally signed) electronic documentation of events that can be used to trigger payments or transfer of title. In Part Two of this article, we discuss evolving financial models, in particular the widespread shift from Letter of Credit to Open Account. Part Three explores some of the implications for technology, network-based platforms, and the opportunities created. 1. Suppliers may offer discounts for early payment, but those arrangements have their own sets of issues.